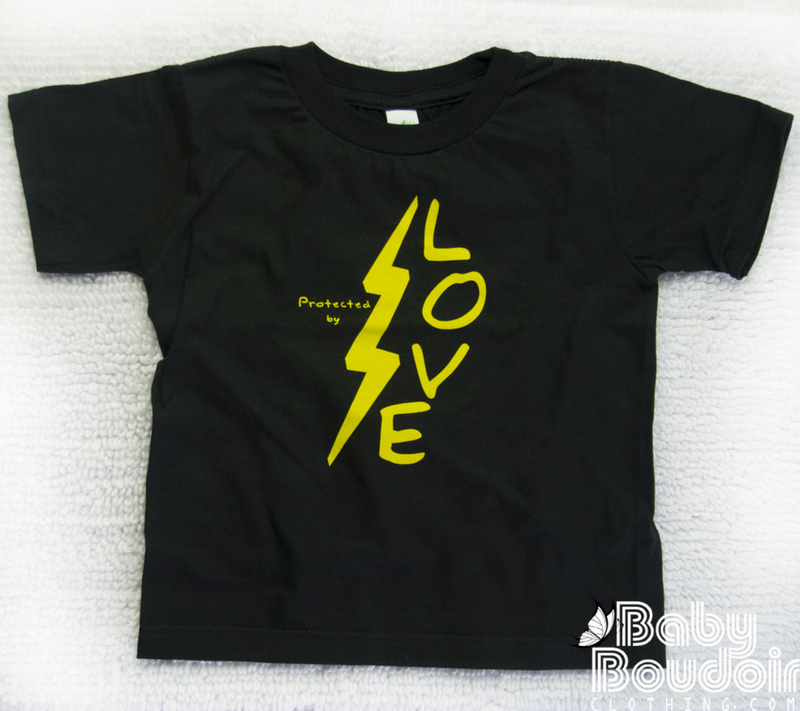 OUR ORIGINAL DESIGN Protected By Love Toddler Tee. One of the most important lessons of the Harry Potter books is that there is nothing stronger than a mother's love. 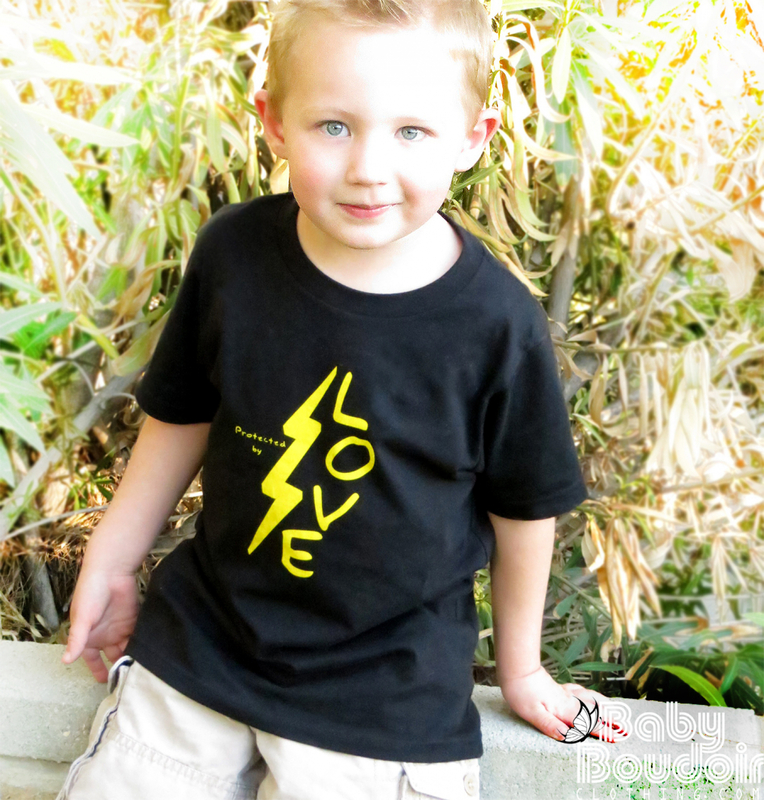 Supersoft ringspun cotton Toddler Shirt in Black with Yellow Ink. 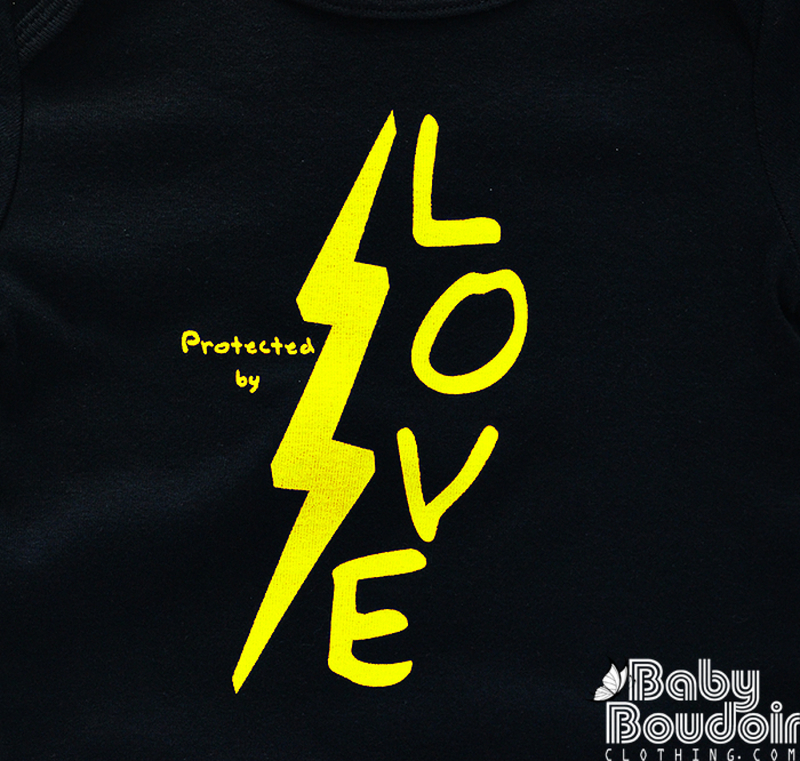 This design also available in baby onesies in various colors in this shop.